There's so much more to New York State than New York City. Whether you hop on the New York State Thruway or travel twisting back roads, you'll want to explore every corner of this historic and scenic destination. Among the top 10 things to do in New York State, you'll find natural wonders and legendary battlegrounds, a sports shrine, an incredible place to dine and even a castle. New York's preeminent natural wonder is actually a thunderous trio of waterfalls at the international border between the United States and Canada. Even if you just stand and admire the sight at New York's Niagara Falls State Park or dine overlooking this marvel at Top of the Falls Restaurant, you'll be deeply impressed by the powerful force of nature on display. Don't miss the chance, though, to feel the effervescent mist tickle your face aboard a Maid of the Mist boat. The company's been offering up-close Niagara Falls encounters since 1846. The Cave of the Winds adventure takes you even closer to New York State's number one attraction, and you'll get to keep the yellow poncho you'll don before climbing wooden stairs to a viewing spot so close to the rush of Niagara, your pulse rate will zoom. Want even more exhilaration? Ride the rapids above Niagara Falls on a Whirlpool Jet Boat Tour. Lake Placid, New York, has hosted the Winter Olympic Games twice: in 1932 and 1980. Both Olympics were filled with pinnacle moments, but none was more captivating than the U.S. hockey team's 1980 victory over the Soviet Union in what became known as the "Miracle on Ice." Lake Placid remains a winter sports lover's paradise and a year-round place to unleash your inner Olympian. Ski Whiteface Mountain, experience the thrill of a bobsled ride, tour the Olympic ski jumping complex, ice skate on the Olympic Skating Oval where Eric Heiden won five gold medals in 1980 and more. Balloons Over Letchworth will take you high above the gorge in a hot air balloon for even more dazzling views. There's a museum to explore filled with curiosities collected by the park's benefactor: William Pryor Letchworth. And recreational opportunities abound year-round, from snowmobiling, snowshoeing and cross-country skiing in the winter to hiking, biking, horseback riding, fishing, camping and swimming in the warm weather months. It doesn't matter what team you root for while munching on Cracker Jack. There's one state where every baseball fan feels at home: New York State. That's because Cooperstown, New York, is home to the National Baseball Hall of Fame and Museum. Even non-fans will appreciate a visit to the Baseball Hall, which not only celebrates the game's great players, it examines baseball's place in American culture and history. Even if Abner Doubleday didn't really invent baseball while he was a student in Cooperstown in 1839, this bucolic upstate town is baseball's true home. And the Hall preserves the largest collection of baseball artifacts in the world. The best time to be in Cooperstown is during Hall of Fame Weekend each July, when the public is invited to see new Hall of Famers inducted and to cheer for returning stars during the Parade of Legends. Ah, love. It can make a guy do crazy things. Especially a guy with money. Prussian immigrant George C. Boldt, who worked his way up through the hospitality industry to become a hotel tycoon, first took his family to New York's Thousand Islands region in 1893. Two years later, they bought five-acre Hart Island, renamed it "Heart Island" and began to chisel their offshore property into the shape of a heart. From 1900 to 1903, 300 craftsmen labored to build a six-story, 120-room, Rhineland-style castle, which Boldt intended to present to his beloved wife, Louise, on her Valentine's Day birthday. But in January of 1904, a telegram ordered a halt to construction. Louise had died of a heart attack. Her broken-hearted husband never returned to the island, but you can catch a boat to see the building that still tells their love story. Battered by the elements for 73 years, Boldt Castle was acquired by the Thousand Islands Bridge Authority in 1977 and has been restored to become one of New York's most romantic attractions. Move over, Newport, Rhode Island. New York's Hudson Valley has more than 25 historic estates to visit including palatial riverside residences and a president's home. Which Hudson Valley mansions are must-sees? Olana, the picturesque home of artist Frederic Church in Hudson, New York. And don't miss the chance to see these magnificent homes decorated for the holiday season. The 6 million-acre Adirondack Park is the largest protected area in the United States. 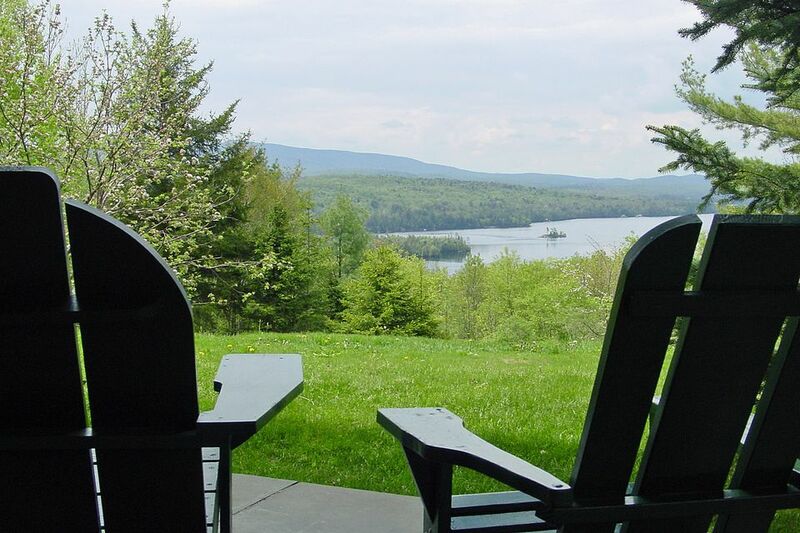 Historic and wildly scenic, this one-of-a-kind land of high peaks and dense forests has infinite stories, and there's no better place to become acquainted with them than Adirondack Experience, the Museum on Blue Mountain Lake (formerly known as the Adirondack Museum). This 121-acre complex has 24 buildings, and you can spend an entire day discovering what makes this New York region remarkable. The museum's focus is on the people whose lives have been entwined with this vast wilderness. Learn about logging and furniture making, watch artisans at work, see the raincoat Teddy Roosevelt wore the night he rode through the Adirondack darkness to become president of the United States and wander among beautifully crafted boats: The museum has the nation's largest inland collection of watercraft. In 2017, in celebration of its 60th anniversary, the museum debuted the immersive, 19,000-square-foot Life in the Adirondacks exhibition. New York's second-most-famous natural attraction (after Niagara Falls, of course) was discovered in 1842 by… cows. Today, touring Howe Caverns in Howes Cave, New York, is still one of the state's coolest things to do. An elevator descends 16 stories to this underground world of fantastical limestone formations. You'll cruise an underground lake, wriggle through the Winding Way and maybe even bring yourself romantic good fortune. Special outings like lantern tours and family flashlight tours and additional on-site attractions like a ropes course, rock wall, zip line and OGO balls, make Howe Caverns a place families return to again and again. For more than 70 years, the Culinary Institute of America has trained the nation's most promising chefs and hospitality professionals including such culinary luminaries as Rocco DiSpirito, Cat Cora, Sara Moulton and Todd English. There's a mystique and a romance to dining at this famed culinary school's fine restaurants that makes the experience unforgettable. Plan ahead because reservations can be tricky to score at The Bocuse Restaurant, a sophisticated French eatery; the Italian-focused, Hudson River-view Ristorante Caterina de’ Medici and the American Bounty Restaurant. The CIA restaurants are "labs," where students learn the ins and outs of impeccable front-of-the-house service, as well as the cooking skills that go into back-of-the-house operations. The CIA in New York also has two casual restaurants on campus: Post Road Brew House and the Apple Pie Bakery Café. Whichever dining experience you choose, you'll be supporting the education of tomorrow's restaurateurs, star chefs and culinary innovators. At Saratoga National Historical Park in Stillwater, New York, you'll stand on hallowed ground where pivotal battles changed the course of history. Here, American colonists won their first decisive Revolutionary War victory and forced British General John Burgoyne to surrender. By proving they could defeat British troops, the upstart Americans bolstered their cause and convinced France to provide critical aid. The Saratoga battlefield became a state park in 1927, then a national park in 1938. There are 10 stops along the Park Tour Road that tell the tale of this game-changing military engagement.